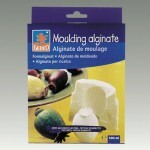 A Natural seaweed based powder, for moulding soft or delicate objects, eg. the human body. A 500gm pk makes 1.6 to 1.7 litres ..
10" x 12" 330g natural linen with a colourless coating that makes it stiff and waterproof. Stretched on stretchers made from paulownia wood which is lighter than pine. The originality of these 3D stretchers is that they give dimension to the work. Clear gesso. 38mm thick. ..
10" x 14" 330g natural linen with a colourless coating that makes it stiff and waterproof. Stretched on stretchers made from paulownia wood which is lighter than pine. The originality of these 3D stretchers is that they give dimension to the work. Clear gesso. 38mm thick. ..
12" x 12" - Square 330g natural linen with a colourless coating that makes it stiff and waterproof. Stretched on stretchers made from paulownia wood which is lighter than pine. The originality of these 3D stretchers is that they give dimension to the work. Clear gesso. 38mm thick. ..
12" x 16" 330g natural linen with a colourless coating that makes it stiff and waterproof. Stretched on stretchers made from paulownia wood which is lighter than pine. The originality of these 3D stretchers is that they give dimension to the work. Clear gesso. 38mm thick. ..
12" x 24" 330g natural linen with a colourless coating that makes it stiff and waterproof. Stretched on stretchers made from paulownia wood which is lighter than pine. The originality of these 3D stretchers is that they give dimension to the work. Clear gesso. 38mm thick. ..
16" x 20" 330g natural linen with a colourless coating that makes it stiff and waterproof. Stretched on stretchers made from paulownia wood which is lighter than pine. The originality of these 3D stretchers is that they give dimension to the work. Clear gesso. 38mm thick. ..
18" x 24" 330g natural linen with a colourless coating that makes it stiff and waterproof. Stretched on stretchers made from paulownia wood which is lighter than pine. The originality of these 3D stretchers is that they give dimension to the work. Clear gesso. 38mm thick. ..
20" X 20" - Square 330g natural linen with a colourless coating that makes it stiff and waterproof. Stretched on stretchers made from paulownia wood which is lighter than pine. The originality of these 3D stretchers is that they give dimension to the work. Clear gesso. 38mm thick. ..
20" x 30" 330g natural linen with a colourless coating that makes it stiff and waterproof. Stretched on stretchers made from paulownia wood which is lighter than pine. The originality of these 3D stretchers is that they give dimension to the work. Clear gesso. 38mm thick. ..
24" x 36" 330g natural linen with a colourless coating that makes it stiff and waterproof. Stretched on stretchers made from paulownia wood which is lighter than pine. The originality of these 3D stretchers is that they give dimension to the work. Clear gesso. 38mm thick. ..
8" x 10" 330g natural linen with a colourless coating that makes it stiff and waterproof. Stretched on stretchers made from paulownia wood which is lighter than pine. The originality of these 3D stretchers is that they give dimension to the work. Clear gesso. 38mm thick. 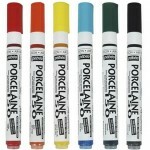 ..
Porcelaine 150 45ml. See the full Colour Chart here With Porcelaine 150, you don't have to be a professional artist or even own a kiln - your kitchen oven is all that you need. Easy to use, Porcelaine 150 lets you redecorate your household china in bright, cheerful colours. 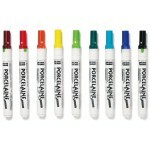 Turn cool ..
Porcelaine 150 Markers Broad. See the full Colour Chart here With Porcelaine 150, you don't have to be a professional artist or even own a kiln - your kitchen oven is all that you need. Easy to use, Porcelaine 150 lets you redecorate your household china in bright, cheerful colours. T..
Porcelaine 150 Markers Fine. See the full Colour Chart here With Porcelaine 150, you don't have to be a professional artist or even own a kiln - your kitchen oven is all that you need. Easy to use, Porcelaine 150 lets you redecorate your household china in bright, cheerful colours. 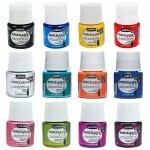 Tu..
Porcelaine 150 Outliner 20ml. See the full Colour Chart here With Porcelaine 150, you don't have to be a professional artist or even own a kiln - your kitchen oven is all that you need. Easy to use, Porcelaine 150 lets you redecorate your household china in bright, cheerful colours. 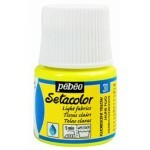 T..
Setacolour Fluorescent 45ml. See the Colour Chart here For denser effects choose the bright luminous colours of the Setacolor Opaque range. Setacolor Opaque Shimmer colours add a subtle lustre and sparkle. 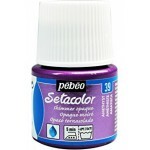 For light fabrics choose the lighter Setacolor Transparent colours, being light..
Setacolour Opaque 45ml. See the Colour Chart here For denser effects choose the bright luminous colours of the Setacolor Opaque range. Setacolor Opaque Shimmer colours add a subtle lustre and sparkle. 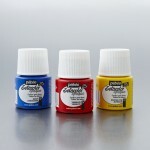 For light fabrics choose the lighter Setacolor Transparent colours, being light, the..
Setacolour Shimmer 45ml. See the Colour Chart here For denser effects choose the bright luminous colours of the Setacolor Opaque range. Setacolor Opaque Shimmer colours add a subtle lustre and sparkle. 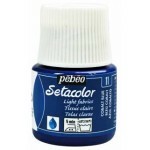 For light fabrics choose the lighter Setacolor Transparent colours, being light, th..
Setacolour Transparent 45ml. See the Colour Chart here For denser effects choose the bright luminous colours of the Setacolor Opaque range. Setacolor Opaque Shimmer colours add a subtle lustre and sparkle. For light fabrics choose the lighter Setacolor Transparent colours, being light..